Time heals all wounds, but the scars from being branded by brainwashed psycho children remain forever. Okay, I may have taken some liberties with that quote, but the point is that The Walking Dead Season 9 Episode 14 at long last addressed the trauma Michonne was subjected to in the years following Rick's sacrifice. It was probably one of the weakest episodes in the season, but at the very least, the root of Michonne's severe trust issues was brought to light. 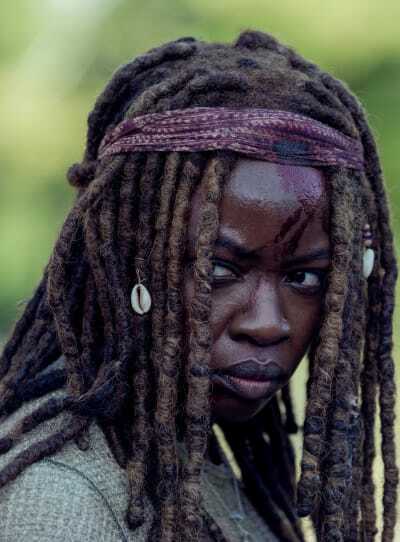 Michonne's season-long reluctance in helping newcomers and overprotectiveness of her people has been a substantial lingering question for viewers throughout most of the season. But the answer we've all been inquisitively searching for was finally revealed. 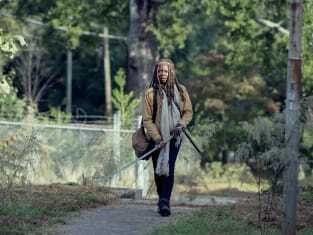 Michonne: What if I never find him? Jocelyn: You might not. But if you give up now, then you definitely never will. And you can't live with that, can you? Appropriately titled "Scars," we had an idea of what we were walking into with high hopes that Michonne and Daryl's mysterious X scars were going to get addressed. But I never expected just how devastating those answers would be. I'm not alone in my frustration with the drastic turn in Michonne's character following the time jump. She's been almost unbearable to watch, at times. But after learning what transpired, we all have a much better understanding and empathy for what she's suffered. The introduction of Jocelyn seemed extremely sketchy from the get-go, and it immediately made me suspicious. Do you mean to tell me that this friend from Michonne's past who she has not had any contact with for the last 15 years suddenly pops up out of nowhere? Sure, it's a small world that has become even smaller since the apocalypse, but it's certainly not that small. It all turned out to be one enormous and elaborate ruse to not only swipe Alexandria's provisions, but it's children as well. We need to take a step back and talk about how easily Michonne and Daryl were captured and tortured by Joclyn's kids because I call B.S. Michonne and Daryl have been through a lot together. They've fought and defeated the Governor, they've persevered through Terminus, and most recently took out the Saviors. How in the world did these two extremely seasoned survivors allow themselves to get one-upped by the freaking Children of the Corn? Sorry, but I don't buy it, and the whole situation felt incredibly ridiculous. Joclyn's complete one-eighty from her overly friendly demeanor to a stone-cold killer was jarring, but it made it all the more clear how people, especially those you think you can trust, can take advantage of you the moment your guard is down. Although once Jocelyn flipped the switch she immediately turned into a very bland, one-note, typical old-school movie villain who sends their minions to fight for them. It was all a bit silly and a bit over the top, but it didn't take away from the impact of the danger Michonne found herself in. It was gut-wrenching to see her not only fight for her own life but the life of her unborn baby. 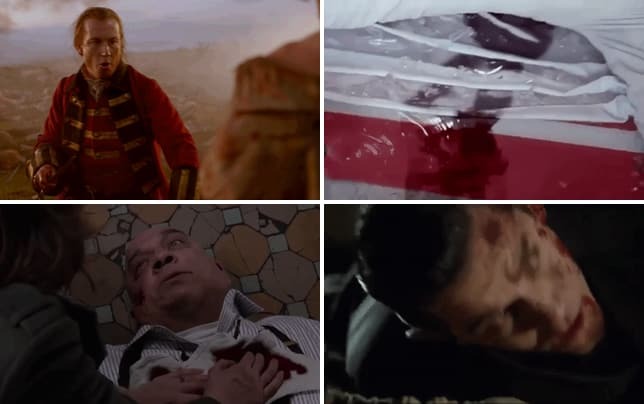 Of course, we know that RJ eventually turns out fine, but it was still a tense and nerve-wracking situation, especially when Michonne's stomach was slashed, and brutally beaten by Jocelyn. Did anyone else jump for joy when Michonne finally got the upper hand and stabbed Jocelyn through that black heart of hers? It was an awesome moment, but from there, things quickly took an extremely dark turn. Not only was Michonne forced to kill her friend, but she had no choice but to kill Jocelyn's relentless children who never wavered. There was no reasoning with them, and Michonne was thrust into a kill or be killed situation. The whole ordeal severely traumatized her, as it would anyone. While we've been so eager to learn the meaning behind Michonne's scar, it was the mental scars that took center stage rather than the physical one she received. 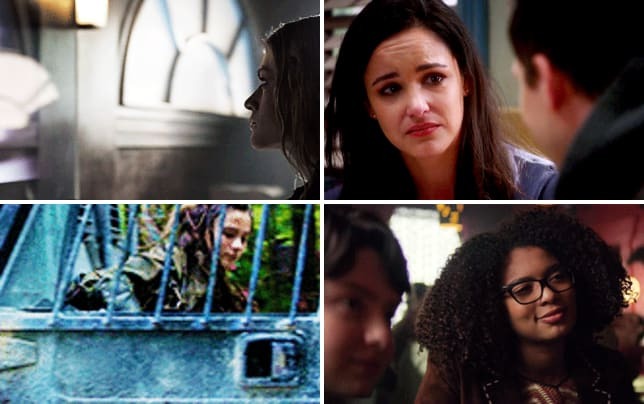 The feeling she felt with the thought of losing Judith along with being forced to kill Jocelyn and her army of stone-faced murderous children was something she never wanted to experience again. Michonne even mentioned in her talk with Daryl that she should have sensed something was askew when Jocelyn arrived. 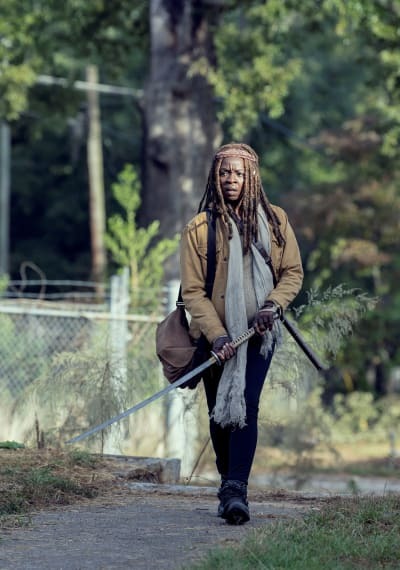 Everything she had gone through with Joclyn's betrayal is more than enough to explain why Michonne has been so protective of Alexandria and wary of everyone she's come in contact with since. Seeing what made Michonne so callous gave me a better understanding of her current outlook. Especially when Daryl, Henry, Connie, and Lydia arrived in Alexandria, and Michonne told Lydia that if she cares for Henry, she'll leave. 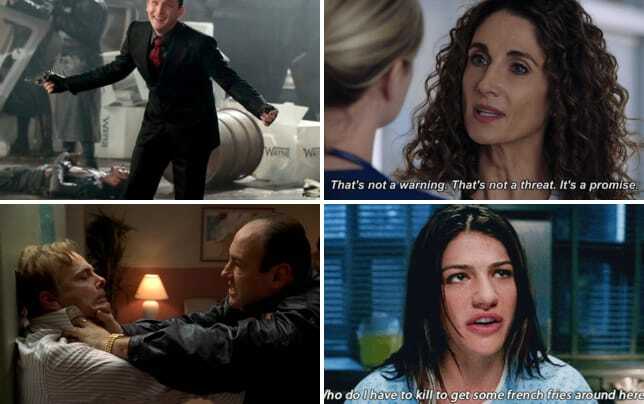 We all know that wouldn't matter though since Henry would hobble on after her. It's too late for any of that anyway as the damage is done, and the Whisperers will not stop until Alpha quenches her thirst for vengeance. This wasn't one of the strongest episodes of the season, but at least it provided some exposition into Michonne's traumatic past while breaking up the Whisperer conflict. In the end, we finally received some answers, but with only two episodes left and the Whisperers threatening to crash the Kingdom's party, only one question remains: who could be on the chopping block? It was so sweet to see Sophia Garcia-Frizzi again as little Judith Grimes. I loved seeing Judith playing outside with RJ and other children. It was great to see her being a kid for a change. 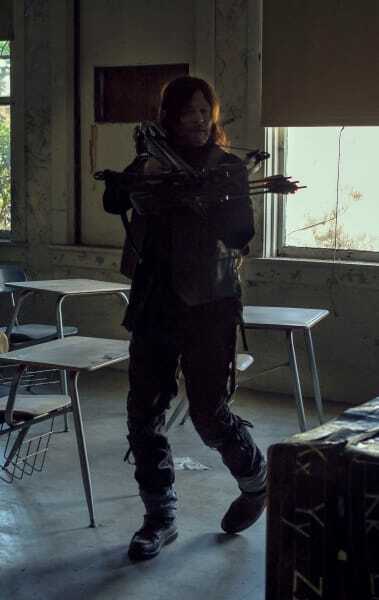 Where the heck was Daryl through Michonne's fight with Jocelyn and her kids? 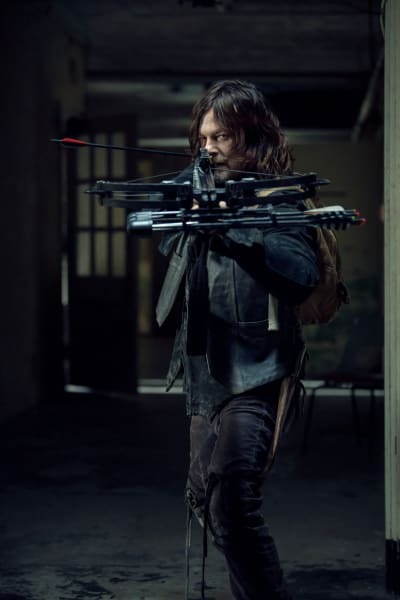 The whole time I was hoping Daryl would swoop in and help, but he didn't turn up until the after the massacre. Great timing, Daryl. It was hard to tell if Jocelyn was only a childhood friend or if she was Michonne's sister or cousin. The episode never really gave a definitive answer on this, but based on their rapport and conversations, I leaned more towards the former. Negan getting in Michonne's face and shooting straight with her was exactly what she needed. The truth hurts but Michonne, but it was what she needed to hear. It was very sweet that Judith was spending time with Uncle Daryl. We need more moments of them together. Where is Oceanside? I guess they really haven't served much of a purpose after the Savior arc wrapped up, but I'd still like know what's up. Now, let's turn it over to you, Walking Dead fanatics! Steven Ford is a staff writer for TV Fanatic. Follow him on Twitter.